6.0" x 6.0" stitched on 14 count. 4.7" x 4.7" stitched on 18 count. 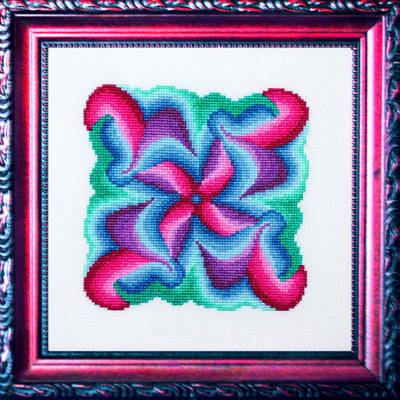 Confusion cross stitch pattern... This collection of color is radiating in a swirl, comparable to the feeling generated by trying to consider too many options at once. Colors may be changed. All whole stitches are used.